Busy sewing up a 'Swoon' block for the Wendover Sewing Bee Spring 2014 Sew-Along. Come along to our final Christmassy Bee of 2013 on Tuesday this week ( Tues 3rd Dec, St Annes Hall, Wendover) for a mince pie and to find out more. The Sewing Machine, the Sewing Machine...a Girls Best Friend. Are you and your sewing machine besties? This has been on my mind a bit this last few weeks as my familiar machine was put out to pasture and a new machine took it's place. I think we are new BF's, but it's hard to really get to LOVE your machine unless you spend quality time with it. Lately several people have expressed trepidation to me about taking on a 100% machine sewn quilt after cutting their patchwork teeth on hand pieced tops. There is definitely such a thing as sewing-machine-a-phobia, I see it a lot. It's not that surprising, most instruction manuals are enough to bring you out in an anxiety rash. Pick up the manual of almost any machine and it's definitely not written in an accessible fashion, lets just say that the average instruction manual is technical and not instinctive in nature- it feels to me that it could all just be so much more intuitive and easy to get to grips with?! Write the manual from the point of view of the user rather than the engineer. I'm definitely a visual learner, tell me how to do something and I'll try it, but SHOW me and I'll definitely get it right. I think really getting to grips with your sewing machine is an underrated skill which can set you free creatively. Given all of this I am delighted to announce that I will be running a two date class in January for anyone whose new year resolution is Get To Grips With My Sewing Machine! 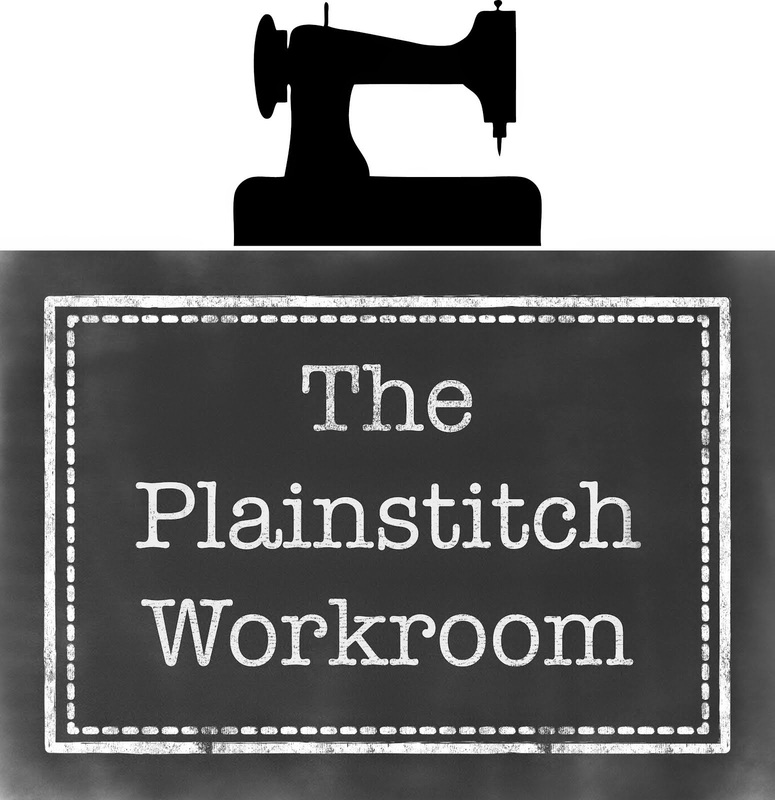 This class will be co-hosted by a lovely friend of mine Jeanne Morrit from JMSewing who is the Queen of Sewing Machines as far as I am concerned. Jeanne is a lifelong sewer and teaches garment and soft furnishing sewing locally and is just a lovely talented lady. I was one of her pupils once. I'm really excited about this class as I know we can help overcome a lot of the anxieties beginners can feel when faced with a new (or old) machine. The first of the two sessions will look at how your machine works, what all the buttons actually do(!) and how to get the best from it ( and how to stop being a teeny bit frightened of it!) including looking at what makes perfect tension and how to get it. We will look at common problems, how to troubleshoot them and how to maintain your machine. There will be small class sizes and two teachers, so lots of one to one help and opportunity to put the tips to use practically. The second session will be moving on to specific patchwork techniques, looking at what specialist presser feet can be used and how to get accurate piecing every time, and how to use a walking foot for stress-free quilting. We are thinking of Tuesday 21st Jan and 11th Feb at St Annes Hall. Numbers will be very limited so do let me know early if you'd like to come along. More details on my classes page shortly. Phew! This quilt has been a LOT of EPP! I have an actual sore finger from sewing all those background bits together! I love the phog below as it shows just how much hexy fun goes into this block. Making the stars whizzed by, but I won't lie, sewing all of the linking pieces was a bit of a chore by the end, I should have added them as I went along, but I am so happy with it now it's all come together. I almost never use purple but I have been really enjoying this pretty, but not too saccharine, bold pink and purple combo. I can't wait to start hand quilting this one as its made up of so many fab shapes to use the hand quilting to enhance. Sadly there is a very large pile of hand quilting ahead of this one, but if it stays this cold I shall start getting through them in front of the fire in the evenings. Only one paper piecing sample left to finish up piecing now ready for my class next May. I am so in love with this technique, it's always been one of my favourites and I can't wait to share some fun patterns with my class next year. We start the workshop in May which is the perfect time of year for EPP as its my summer hols project of choice due to its portability. If you'd like an easy, portable summer sewing project, check out the details here. I have been holding on for a week to write this post as I wanted to give my new sewing machine a proper 'run out' before I felt I could compare the two machine, my old Pffaf and the new Bernina. People often ask me about choosing a sewing machine, and it's very hard to give perfect advice as it's so personal a choice. People choose based on their previous brand experiences, familiarity of an old machine etc etc. What is perfect for me, making lots of quilts, might be really basic for someone wanting to make machine embroidery pieces for example. I only say all of this as I want to be clear that this is just my humble opinion about which machine to choose, and the best advice anyone could take is to go to a knowledgeable sewing machine dealers and try some out. 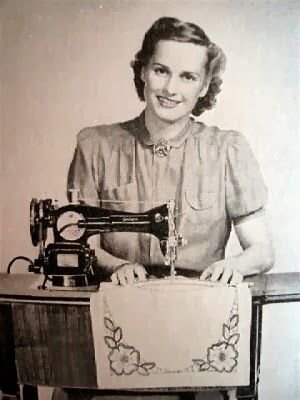 Lots of people always assume that as I do so much sewing I must have some whizzy sewing machine, and people often apologise that their machine is 'basic' only for it to be much whizzier than mine! I have sewn on the same machine for the whole entire time I have been making quilts. It cost £300 12 years ago and seemed like a fortune then. I've never found it wanting, never wished it did more ( apart from the longing for an all-in-one buttonhole function). I choose the Pfaff because it was consistently praised as a mid range machine ( below a Bernina, above a singer, alongside a husquvarna). It had IDT, which is a flashy way of saying that it had a little lever than you could pull down to make your usual sewing foot 'grip' like a walking foot when going through lots of layers. This meant you could sew through many layers without fabric splaying apart. I bought a 1/4 inch patchwork foot ( which is the most crucial thing a quilter could ever own for their machine) a 'straight stitch plate' which is a replacement silver bit for the bed of the sewing machine where the needle comes down. Instead of a wider hole that can accommodate zigzags, this has only one small hole where the needle goes through to pick up the bobbin thread. The small hole means that your sewing is much less likely to get sucked under and into the bobbin casing, causing a jam. They were both great purchases, I would def recommend them whatever brand of machine you use. I have loved the Pfaff and was devastated when it died. I've replaced it with a Bernina. My first instinct was to have another Pfaff, but several posts on sewing sites have pointed out the increasing problems with getting reliable parts for this brand, which I understand is due to a change of ownership of the brand name. If I wasn't getting a Pfaff the choice was easy - Bernina. I also rate Janome highly, my mum has one and loves it. Janomes make great patchwork machines, but they tend to come with a lot of bells and whistles, even lower through their range. I wanted a machine that was really really good at straight stitch. I don't need 10 alphabets and 6 button hole styles. I chose Bernina because its widely rated as the best quality machine out there and I want this one to last and last. it is a family company and they control their own parts subsidiaries - which means you can always get parts. It's a metal cased machine, good and stable. However I have only bought their entry level machine the 330. I chose this machine as I need a machine that is light enough to take out to classes with me. Their bigger 500 series was just too heavy to carry about ( and too expensive to want to!). So far I am loving the Bernina. It is stable, the straight stitch is really reliable. I adore the needle up/down function which allows you to stop sewing with the needle still in the fabric to pivot etc. It still has more fancy stitches than I need but some of them are fun, and my daughters teddy clothes are going to get much snazzier hem decorations as a result! The bright light is amazing if you sew at night when your kids are in bed, like me. What I don't love as much is that I had to buy the walking foot and 1/4 inch foot separately and they were not cheap, but it was still cheaper than upgrading to the specific patchwork edition the 350. It only comes with a soft cover which is a bit of a pain so I have also bought a carry bag for taking it out to classes. It also takes a bit of getting used to that I have to change the foot to get the walking foot function. With my old machine I could swap between the extra walking foot function at the flip of a switch for sewing binding etc. However all in all I couldn't be happier with the new machine. If you are hoping Santa will bring you a new sewing machine this Christmas I can't encourage you enough to seek out your local independent sewing machine retailer. In a world of slick retail experiences it might not be the most modern sleek shop you've ever visited ( here in the UK they tend to be shops that have stuck around for a long time and might look a little bit dusty on the outside!) but inside there will be a wealth of information that you just won't get at a department store no matter how knowingly sold! There is no substitute for experience - the stores in advising you, and yours in being allowed to sit and sew for an hour trying out the machines you are choosing between. I bought my machine at Home Counties Sewing Machines in High Wycombe, so if you are local and need a machine I would highly recommend them. I hope that this has been useful for anyone looking for guidance on how to choose a machine, and what to look for. Now I'm off to play with my new (early) Christmas pressie again! So many amazing lampshades, lots of happy faces, it was SUCH a fun class to teach! As you might have gathered from all the pics in this blog lately, I have had rather a lampshade frenzy, so I was really looking forward to sharing the love in this class. I'm really excited to announce that from Jan 2014 alongside our existing daytime Bee, we will be running new evening Bee dates! We have been very kindly offered the lovely stylish Whitewaters Deli Cafe in Back Street, Wendover by Libby it's owner and it's such a nice space, I'm really excited about how lovely it will be to gather there on a Tuesday evening once a month from 8pm-10pm! - such a treat! Visit the Wendover Sewing Bee website for more details. What a nice thing to look forward to, to perk up January! My sewing machine just stopped working. 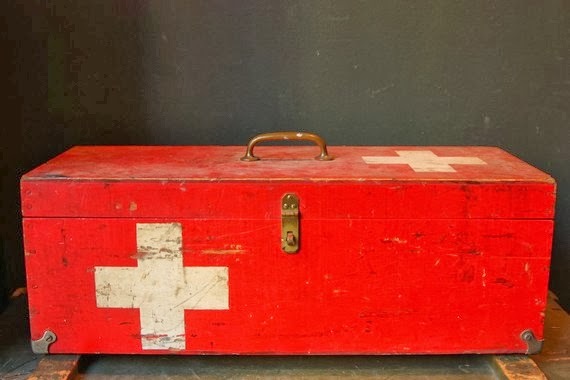 No suspicious activity, no skipped stitches. The nice man at sewing machine hospital thinks it's the circuit board. Busy working on my Half Square Triangle quilt for next Autumn's class. Supposed to be clearing some WIP's from my desk but inevitably creating more. Just stopped this project to cut some pieces for a Flying Geese quilt that has suddenly urgently needed to be started! When the creative urge hits I have to go with it (except now I have to go to school to hear Readers). So many HST quilts in my head....so little time! I had such a lovely morning yesterday at Rachel's 3D Felting class. Look - how cute are they?! You may remember that I attended a class she ran back in Sept with my daughter and made a lovely little mouse. Miss Plain Stitch has gone on to all manner of advanced felting makes, less so her mother! With this in mind I signed up to do Rachel's class for PlainStitch yesterday. 3 glorious hours of uninterrupted creativity. It was a full fab fun class with everyone achieving more than they thought they'd be able to. Look at all of this felting loveliness! For anyone who comes along to the Sewing Bee, I think I've succeeded in persuading Rachel (who likes to hide her considerable talents under a bushel!) to run a little Bee based class to show us how to make Xmas decorations. The felting technique is fantastic for quick and easy Christmassy decorations and gifts so the timing of the Bee on the 3rd should coincide perfectly for anyone starting to think of getting those decorations up! I have definite plans for a twiggy christmassy decoration adored with mini toadstools! More details to follow here and on the Bee Blog. ...it was easy to remember the date of this months Wendover Sewing Bee. It's always such a fab event. Today, outside the rain was falling, it was particularly cold biting rain, but as we each shivered in, out of the rain, into the cosy St Anne's Hall, shrugged off our wet coats, pulled out blocks and quilts, and felting, and biscuits, brewed warming drinks and gathered around I took a rare moment to reflect again on just what a lovely way to spend a morning this was. Such a riot of colour and texture, the buzz of chat and peals of laughter, teaspoons in hot drinks clinking, oohs and ahhs as work is shown to the group, encouragement and friendship. The Quilting Bee - throughout time it's always been a special way to share a love of sewing and creating. I love, love love that we get to have our own part of that history here in my little village in the English countryside. Half Term Heather Ross Honeycomb Hexagon EPP Sewing, Finished! It's been a joy to quilt. The Heather Ross fabric is buttery soft and I used a Sew Simple 100% bamboo wadding which is my new total favourite wadding. The combination of the two is soo dreamy - I wish you could all have a scrunch of this lovely quilt. This quilt is 1 of 3 samples for an EPP class next May. The other two in contrast are still very crunchy and full of paper! I'm at the awkward, sewing on the border part of the other two quilts which means wrestling with a huge crunchy papery 'thing' each evening - but I can see the end in sight. I'm hoping to have a couple more quilt tops to show you soon.